descriptionCriss-cross design limits stress on the back and encourages proper lifting techniques; suspenders optional. 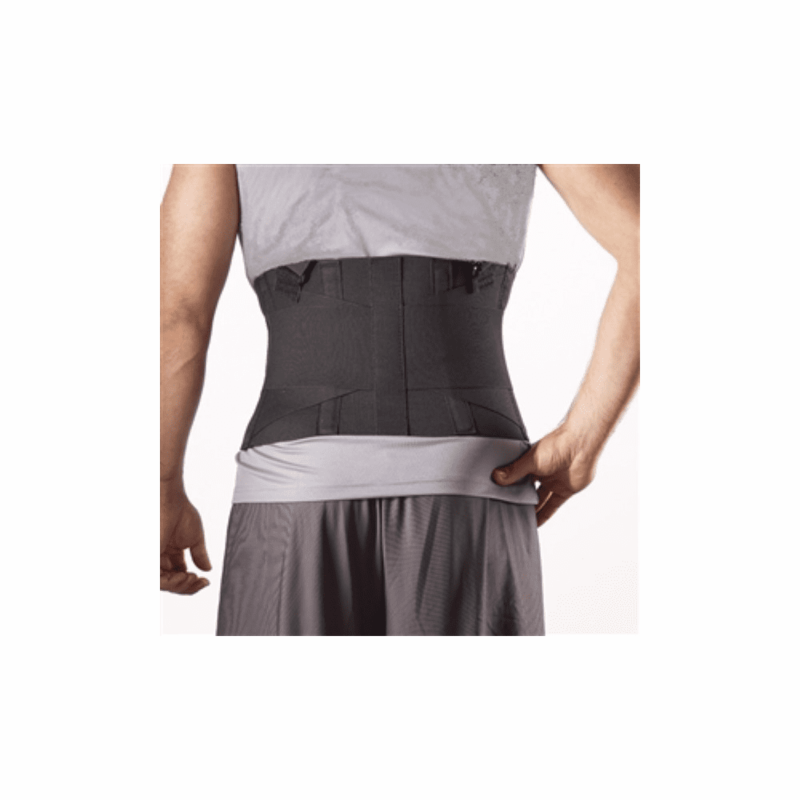 Indicated for lumbar muscle weakness, lumbar strains or sprains, moderate low back pain or prevention of back strain. Manufactured from premium quality elastic with contact closure. Sizing: Measurement taken from hip circumference XS 18-24" S 24-30" M 30-36" L 36-42" XL 42-48" XXL 48-52"